Aamie Gillam-Spurrell is a published Fine Art Wedding, Portrait and Commerical Photographer based in CBS, Newfoundland. 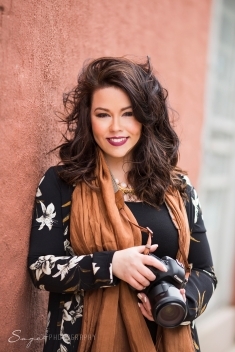 Before embarking on a full time photography career in 2015; Aamie enjoyed an 8 year career in front of the camera with Canada’s Superstation, NTV. For more than 9 years Aamie has provided wedding photography services, portrait sessions, boudoir experiences, family shoots and more with a focus on love, light and life. Quality is of high importance to Aamie and she ensures that every session and wedding receives the best attention and customer service possible. Tiffany Rees of Sage Photography Inc. joined the AGP team mid 2016 as an assistant and studio editor, and you’ll usually find both Aamie and Tiffany in the editing suite singing classic’s on the top of their lungs and making editing magic. In 2017 Aamie Gillam Photography introduced AGP Courses, helping others learn the art of light, composition and photography technology. Aamie has always enjoyed taking photographs and her never ending passion for creative art combined with her love for people make every image special.